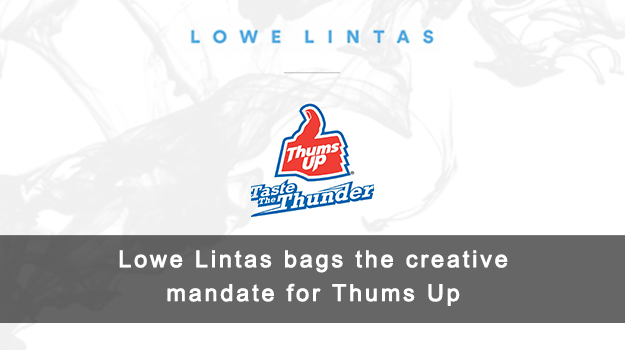 In a recent development, the iconic Indian cola brand – Thums Up – appointed Lowe Lintas to handle their creative duties. The mandate comes after an intense multi-agency pitch involving leading agencies in India. Thums Up is a 40-year-old home-grown cola brand. Over the years, the brand has stood tall in the highly competitive Indian beverages market, as the largest cola brand by far. The fact that the brand has been consistent in its messaging over the past four decades has helped it immensely. In order to retain its market share, the ‘adventure enticing’ brand will have to employ approaches beyond consistency alone. The scope of the account includes creative services for Thums Up and its brand extensions. The business will be handled out of Lowe Lintas Delhi.